– If anybody hoped for meaningful post-Final Battle television, look elsewhere. However, since already here, why not stay awhile? We’ll keep you comfortable. Anyways, the Cheeseburger/Will Ferrara-Tempura Boyz match was throwaway material, but some decent action involved. Joey “Diesel” Daddiego (The House Of Truth’s former J. Diesel) was on commentary and put over Ferrara/Cheeseburger as hard workers in the dojo. Daddiego used to come off like a mini-Batista, but now that he talked, he was like a hybrid of Taz and Nunzio. At least Cheeseburger continues to grow in popularity. That shouldn’t be hard. The guy’s freakin’ name’s Cheeseburger. Fast-paced action as you’d expect. TB hit a nice codebreaker/German suplex combo before they won with a superkick/package piledriver combo on Cheeseburger. TB seem cool, though we still don’t know much about them besides their tasty name. Cheeseburgers and Tempura. Yummy. The post-match angle with Prince Nana and Donovan Dijak continued the inevitable Nana/Dijak split, as the manager demanded his client to “get this wet” and make easy work of Ferrara. Dijak showed brief hesitation before he picked Ferrara up and slammed him down twice. That prompted Daddiego to leave the booth and confront Dijak, as he challenged him to a match. Sure, why not? – With the team of Colt Cabana/Dalton Castle still fresh on the tag scene, they needed wins to score some credibility. With a shot at the ROH World Tag Team Championships at a Baltimore live event soon to come, this was a golden chance to keep the babyface team hot and they shelled out some new talent from New Japan Pro Wrestling in The Tempura Boys to do the process. While it felt like commentary spoke too much about TB and how they wanted to be known by only their first names, the actions of Cabana/Castle were enough to tell the right story. A smart mix of comedy, fast-action and great double-team moves, Cabana/Castle easily got past TB when Castle hit the Bangarang to score the pin. 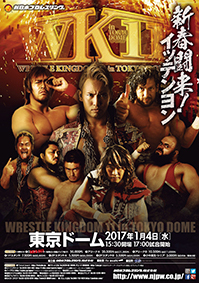 Ring Of Honor doesn’t hide that New Japan Pro Wrestling has their fingerprints all over their television shows and as you see here, their Pay-Per-View events. 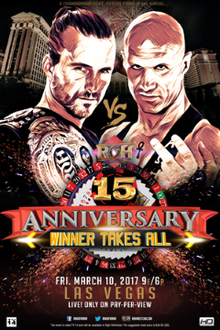 Their 14th Anniversary Show featured notable NJPW talent like Kazuchika Okada and Hiroshi Tanahashi as a selling point and that’s all fine and good. It’s just the fact that it might be misleading to build this PPV as “Global Wars” when there were no true stakes. 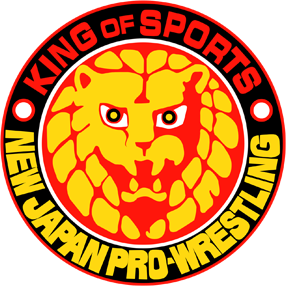 Besides featuring more NJPW guys on an ROH show, there was nothing extraordinary about this. In fact, the best things to come from this show were just ROH storylines and talent on their own. You’ll see our thoughts on everything and that oh-so-illustrious ending below, but don’t get your hopes high. – The Four Corner Survival match between Roderick Strong, Moose (w/Stokely Hathaway), Adam Page and Matt Sydal gave us a decent ensemble of clashing personalities. Page was angry, Roddy was cocky, Moose was fancy and Sydal liked to fly. It just worked. Good near-falls down the stretch. Page drew close to a win, but a BJ Whitmer distraction allowed Strong to hit him with a knee strike and win.